CreativeEdgeBodyWorks: What is Creative Edge BodyWorks? 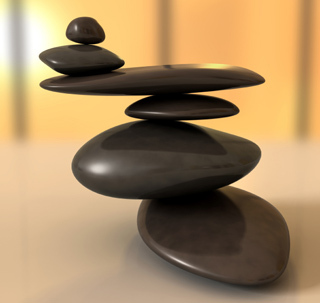 Using Specialized Kinesiology, Energy work and Neurolinguistic Programming (NLP), Creative Edge Bodyworks supports the Body, Mind and Spirit to achieve its expected balance. Once your body is in balance, healing, calm and well being occur naturally. When you are balanced, you can heal yourself. 1. Schedule a 50 minute session. Come well hydrated and wear comfortable clothes. "I have a constant pain in my left knee"
"I have an autoimmune disorder"
"I keep attracting a partner who cheats on me"
"I am tired of feeling sad all of the time and I would like to feel better"
I can move freely and easily without pain. I have energy and I am calm. 4. You then relax on the massage table, and through muscle testing, energy work and whatever your body is requesting, we work to align your body to balance for this goal. 5. I will then review the session with you and go over any activities or practices that will support your balance. The home support and the notes from the session will then be emailed to you or provided to you in a paper copy upon request. Creative Edge BodyWorks is not a diagnostic tool and does not replace any medical assistance. It merely helps align the body so that it can better heal itself.